Many of you will have seen from a couple of recent posts of mine that The Systems View of Life: A Unifying Vision by Fritjof Capra and Pier Luigi Luisi has recently been published (e.g. Guest Article: Fritjof Capra and Pier Luigi Luisi – The Systems View of Life: A Unifying Vision). I am sure Fritjof will need no introduction for the vast majority of you, as he is one of the world’s leading thinkers in systems theory, and the author of so many influential books such as The Tao of Physics, The Web of Life: A New Synthesis of Mind and Matter, The Turning Point: Science, Society and the Rising Culture, The Hidden Connections: A Science for Sustainable Living and Learning from Leonardo: Decoding the Notebooks of a Genius. Fritjof has described The Systems View of Life as “the realisation of a dream” and it has been written with his friend and long-time collaborator Pier Luigi Luisi who is one of the world’s leading authorities on the origin of life and self-organisation of synthetic and natural systems. The result is a text-book which presents, for the first time, a coherent systemic framework which integrates four dimensions of life – biological, cognitive, social and ecological. It then discusses the profound philosophical, social and political implications of this new paradigm. It is a hugely ambitious work which for me will require a number of articles to fully explore, including an analysis of how it connects with our own recently published book Holonomics: Business Where People and Planet Matter. (See Book Review: The Systems View of Life: Part Two – Into the Phenomenon). If we begin with some basics, this is first and foremost a textbook written in an academic style with numbered sections for easy cross-referencing, and is therefore targeted at undergraduate and post-graduate university students. It will of course also be of interest to researchers, practitioners and enquiring readers who are interested in discovering more about the profound shift in the scientific conception of living systems, the primary insight of which is the move from the machine metaphor of life to one where life is perceived as a network of inseparable relationships. This primary insight looks quite innocuous in the written word, and it may be that people, in our highly-networked world, may wonder what the fuss is about. The shift becomes more pronounced when understood in terms of autopoiesis, one of the major foundations of the systems view of life, developed by Humberto Maturana and Francisco Varela in the 1970s. In this view, living systems continually recreate themselves by transforming or replacing their components. They go through structural changes while preserving their web-like pattern of organisation. Hence there is both stability and change – a key characteristic of life. Instead of thinking of “mind” we change to a conception of the process of cognition. This has developed into a rich field known as cognitive science which transcends the traditional frameworks of biology, neuroscience, psychology, epistemology etc. The central insight is the identification of cognition (the process of knowing) with the process of life. Cognition is the activity involved in the self-generation and self-perpetuation of living networks. The interactions of a living organisation with their environment are cognitive actions. Cognition is immanent in matter at all levels of life. The brain is not the only structure through which the process of cognition operates, the entire structure of the organism participates in the process of cognition. The first scientific theory which overcomes the Cartesian split of mind and matter which are now seen as two complementary aspects of life which are inseparably connected. While this book can be seen as a synthesis of all of Fritjof’s previous works into one unifying framework, perhaps notably The Web of Life, it is also an integration of the last couple of decades’ scientific developments. The contribution of Pier Luigo Luisi cannot be underestimated, and I really enjoyed learning about his work, especially having previously studied the work of Lynn Margulis in this area (see for example his 2006 work The Emergence of Life: From Chemical Origins to Synthetic Biology). Part II develops within the reader an appreciation of the systems view at a biological level, which form part of the earlier sections of the book on the origins of life on Earth. The reader is then guided into an intuitive understanding of autopoiesis, which entails the re-conceptualisation of “cognition”. This explanation unfolds across a number of chapters into the cognitive domain, and are both articulate and well-structured. 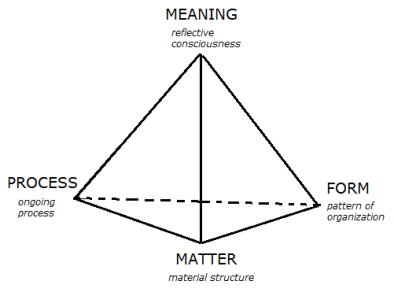 There is a fourth perspective which is added to these three domains, and that is the domain of meaning. Social networks are “first and foremost networks of communication involving symbolic language, cultural constraints, relationships of power and so on.” In adding this domain, the systems view of life in extended into an analysis of power, social structures, leadership, communities and the concept of the living organisation. A whole chapter is dedicated to the inexhaustible topic of the relationship between science, religion and spirituality. While there are frameworks such as the integral theory of Ken Wilber which make claim of being a “theory of everything”, The Systems View of Life takes a measured and contemplative path looking at the areas of agreement, and also disagreement, such as the Buddhist perspective on consciousness whereby consciousness is seen as not emerging from either the brain or matter. Part IV of The Systems View of Life examines the ecological dimension, and this includes a look at how sustainability is defined and taught, the manner in which global problems are interconnected, the fallacy of unlimited economic growth, global finance, as well as offering a number of systemic solutions to the problems of energy, climate change, industrial agriculture and biomimicry and ecodesign. As the authors note, many of these solutions are technically and financially viable, the impediments are political will and the lobbying power of the US fossil-fuel industry. Here in Brazil, where Maria and I live, a country which Fritjof has visited for many years, and where his many books are extremely popular and much-quoted, there are currently a myriad of problems relating to corruption, transport, education, health, income inequality, as well of course as the urgent need to preserve not only the Amazon but also the many other biodiverse regions such as the Pantanal. The unified approach of The Systems View of Life can contribute greatly to an analysis of the interrelations, especially as it has at a fundamental level both cognition and consciousness, a dimension which is vital in understanding the growing unrest and popular protests which are now emerging across this vast country to give just one example. Our construction connects with the model from Fritjof above through the notion of “coming into being”. 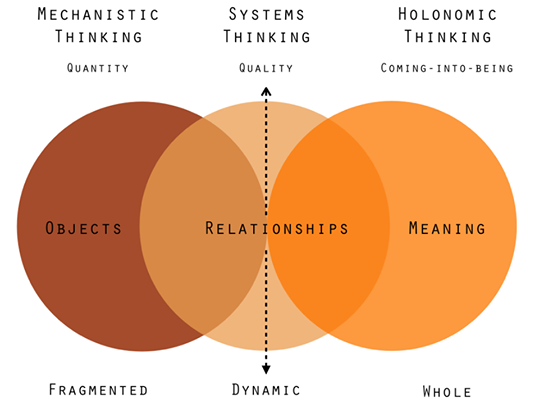 In our book Holonomics: Business Where People and Planet Matter, we take a phenomenological approach to the understanding of complex systems, and this approach is acknowledged by Fritjof and Pier where they describe not only phenomenology, but also “neurophenomenology” and the attempt by scientists to formulate “a true science of experience”. In a second article I will explore this aspect in more detail, since the importance of the phenomenological approach to the understanding of human experience (in my view) could potentially be missed in an initial reading of The Systems View of Life. 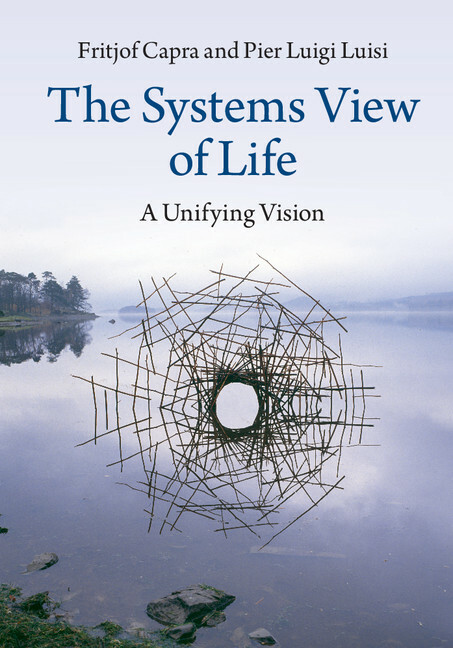 The Systems View of Life: A Unifying Vision is a book which it is hard to do justice to. For those already acquainted with a systems thinking background, there is much to contemplate, and there is of course plenty of reference material to explore in further detail for future study. For students the book provides an indispensable and I feel unequalled introduction to contemporary systems theory, a university textbook I did not have access to but would have loved to have had in the late 80s and early 90s. While taking a multidisciplinary approach to complex problems is of course not new, the huge achievement of Fritjof and Pier has been both to construct a unified systemic framework, and to make it comprehensible to scientists, researchers, practitioners and those with a philosophical interest in the origins and workings of living systems. While the authors do of course acknowledge that there is still much work to be done in understanding complex living systems, as they show in their many examples of systemic solutions, with collaboration across governments, businesses and civil society, we can make the transition to a sustainable future, one which embraces “qualitative growth” enriching humanity and the environment with prosperity and a higher level of conscientiousness, one that truly understand the rich web of life. Hi Bret, you are right, you have a very interesting project. I like the Holon images you have. Please feel free to submit an article – I will publish it here on Transition Consciousness. Please use the Contact page in the first instance to get my email address.